Butterfly Reflections, Ink. : Sparkling Oceans of Mermaids! 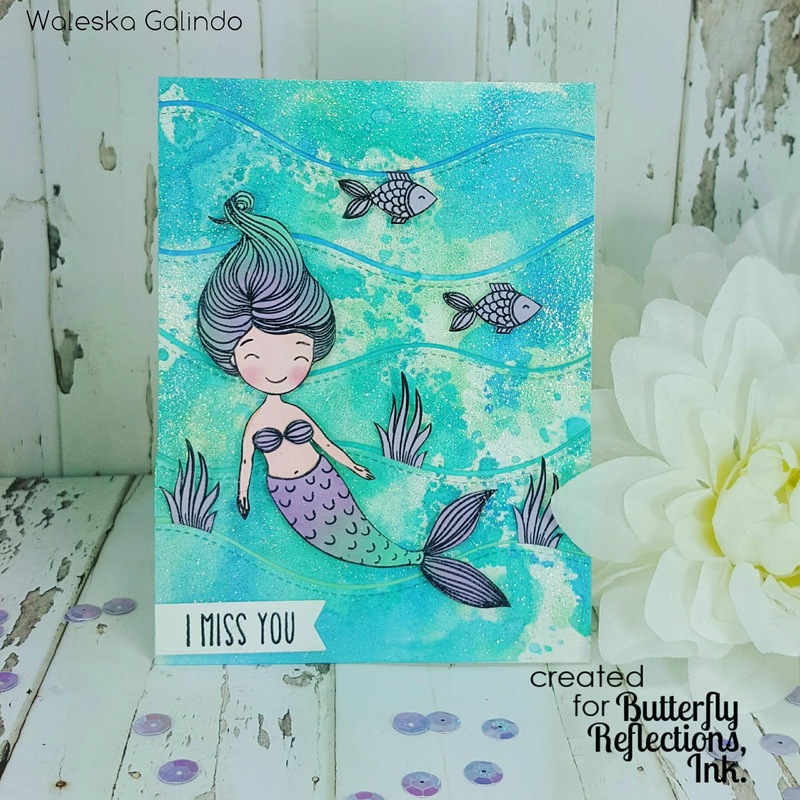 Hello Everyone, Waleska here swimming by :) .... with a very sparkling ocean theme card. I have to admit that, the minute I saw this Honey Bee Mermaids I knew I need them, I specially love their beautiful hair. 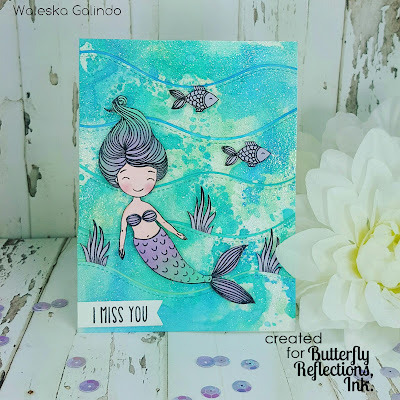 For this card I used Oxide Inks to create the Ocean background, I used three of my favorite ocean colors Cracked Pistachio, Peacock Feathers and the beautiful Salty Ocean. I put a little of this three colors on my Ranger mat and added a little water. 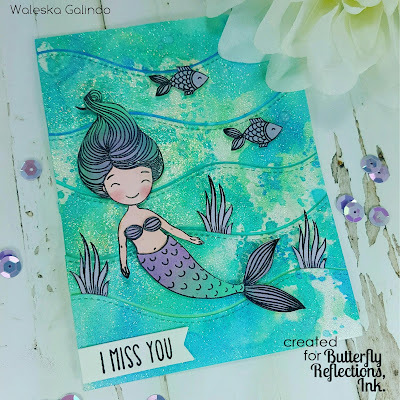 I smooshed my card base to create a mix of the three colors, what I love about this technique and Oxide Inks, is that you do not have to be perfect, you just need to have fun with the colors. 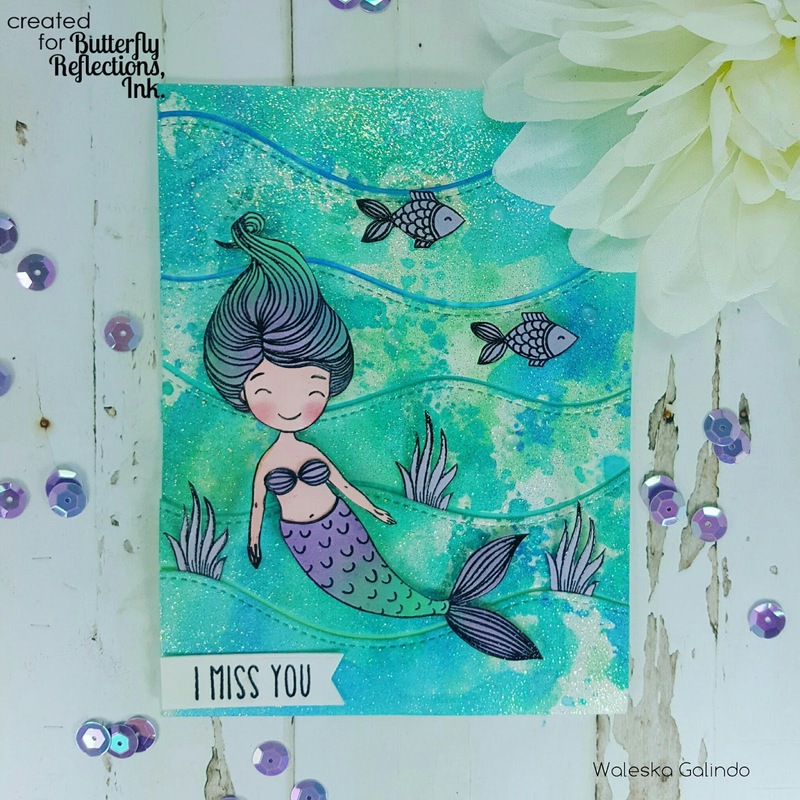 I added Bridal Tinsel Embossing Powder to all the background and die cut some waves with the stitched hillside borders from lawn fawn. I created a second piece with the same colors to be on the back of the waves. I glue the waves with Mono Multi Liquid Glue to the card base. 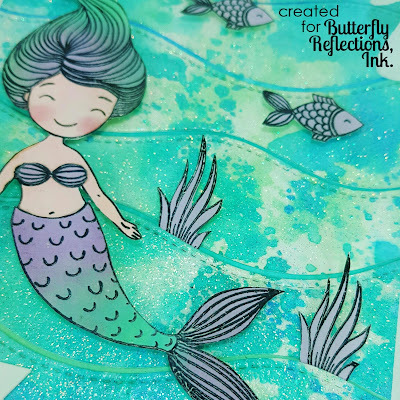 I stamped the mermaid and some ocean plants and fishes with Versafine Onyx Black and added Super Fine Clear Embossing Powder. To color them I masked her face and body with Stamping Mask Paper and I used Shaded Lilac Distress ink and Cracked Pistachio Oxide Ink. For the sentiment I used the Die-namics Stitched Sentiment Strips. I tucked the fish plants in the waves and used Scotch Foam Mounting Tape for the Mermaid and Fishes. I wish you have Oceans of Joy on your day today! Sea you around! Very pretty! Thank you for sharing your process!